With its handy USB* port, this has to be the most useful double plug socket ever. Not only is it incredibly handy, it’s also very stylish indeed. Our exclusive tarnished copper finish is just beautiful – each piece is completely unique with different coloured patterns forming across the treated copper. 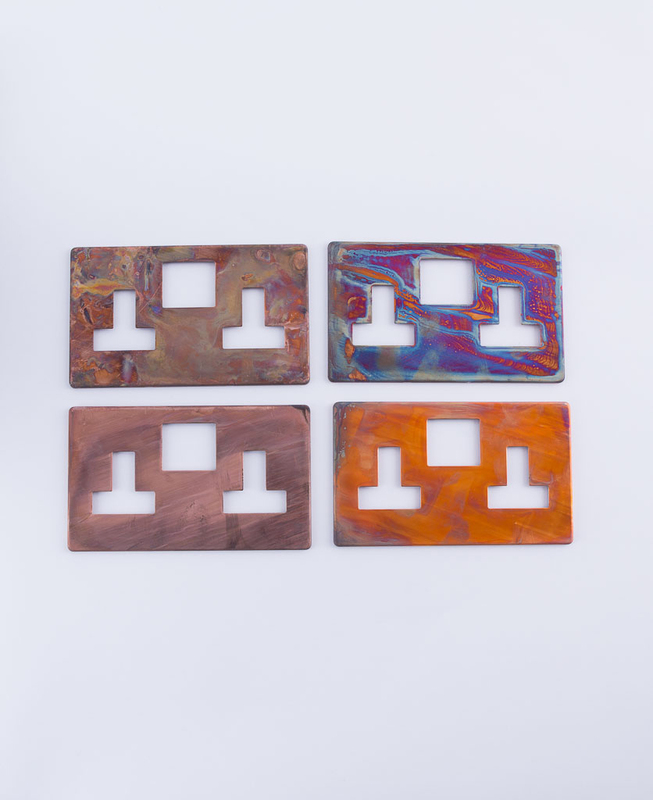 Our copper double socket USB is purposely produced with a random individually distressed finish. A surface that is left untreated allowing it to age with use, becoming more stunning as each day passes. The wall socket has a myriad of orangey shades developing accents of purple violets and dusky blues over time. 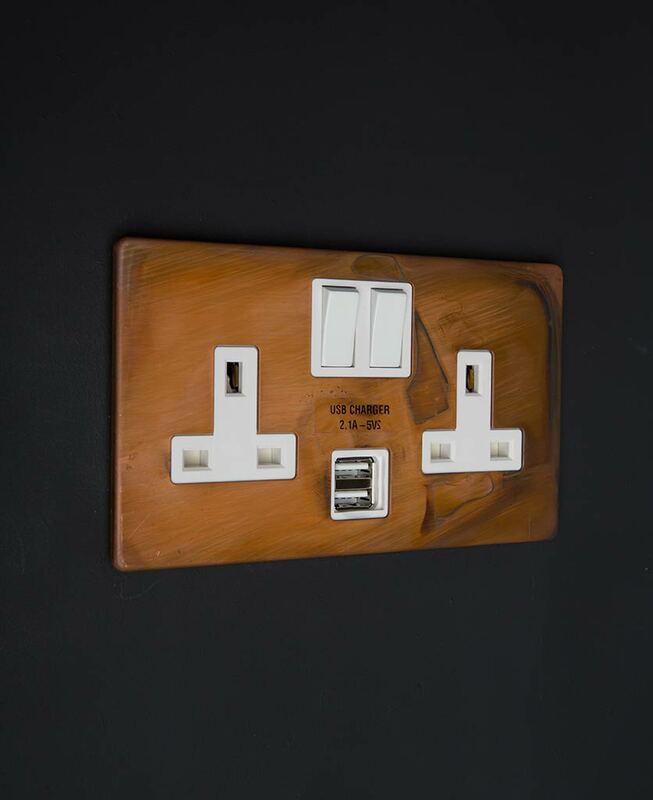 Our designer double socket USB is guaranteed to integrate perfectly into any industrial-inspired interior. We did design them especially to do so after all. 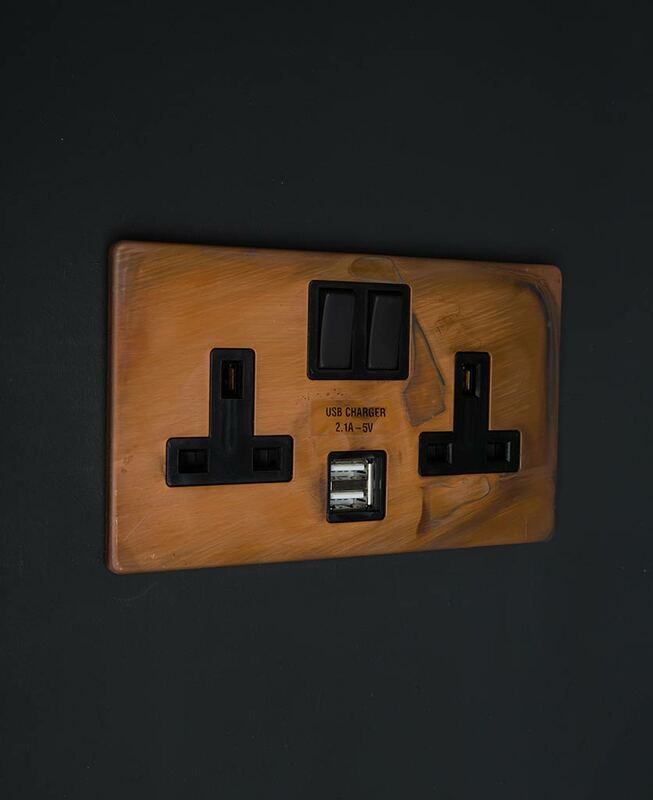 This 2 gang plug socket looks amazing with the random distressed copper finish, so unusual and such a neat finishing touch to your space. Eye-catching too. It’ll be the envy of all who get to use it. 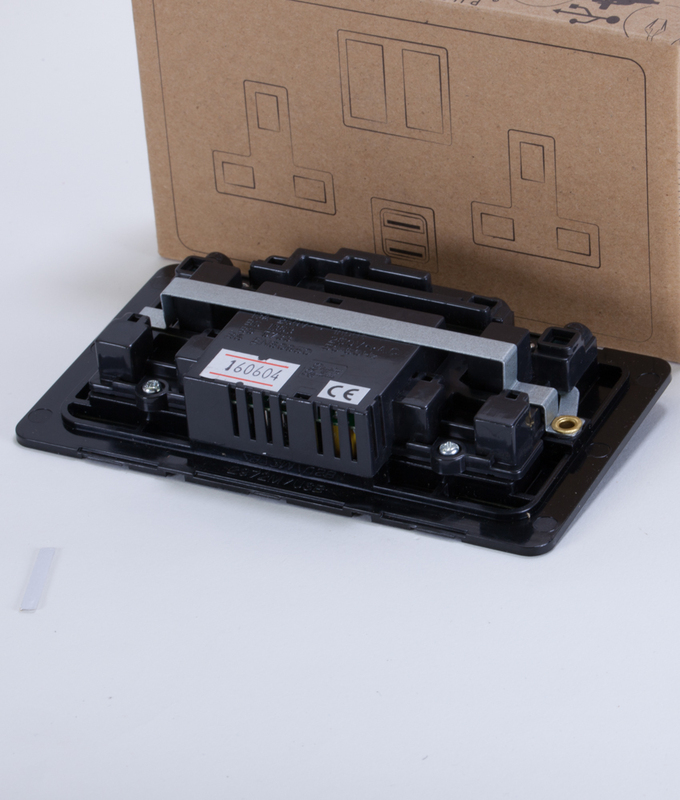 This double plug socket with USB port has been exclusively designed by us here at Dowsing & Reynolds HQ – and only we sell it. So if individuality is your thing, give this amazing socket a whirl – were sure you won’t be disappointed… But if you are, you can return it to us free of charge, no questions asked. Each tarnished copper item is unique and the finish can differ from batch to batch so we strongly advise ordering any items for the same room together to ensure consistency.The copper finish is made to age and change with wear making each one unique.